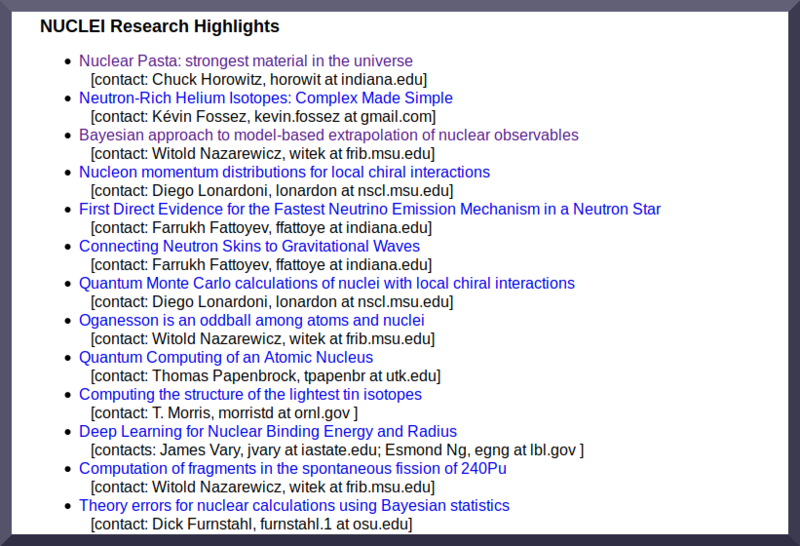 Publish your highlight links on a single page that allows access to web scrapers (see example below). Each link on your page should have the .scidac class applied in its CSS style list. Each link should nest headline text inside of the hyperlink. 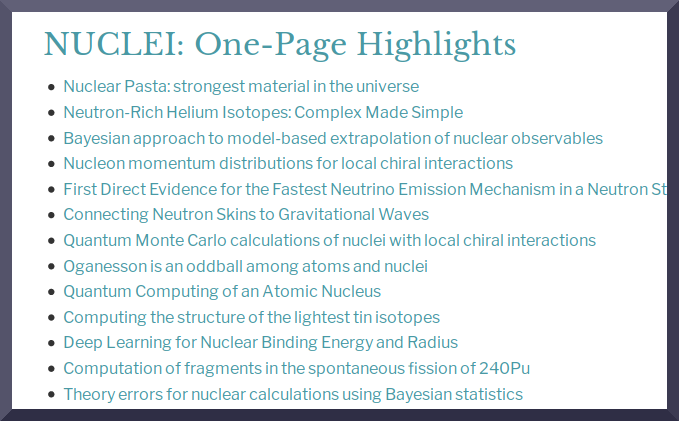 Email the link to your highlights page to ** scidac-web < at > ornl < dot > gov**. Each day at midnight, the scraper will gather the headlines and submit a merge request to the SciDAC repository. The merge request will be approved manually. The scraper looks for all link elements nested inside elements with a class of scidac, and utilizes their hyperlink and the interior text. The scraper will show up with a Referer request header of WASABI in your logs. As the scraper will only scrape the exact HTML page you provide, it ignores robots.txt files.